Post IPL, there were apprehensions of India’s performance in a tournament as important as the Champions Trophy, given the constant travelling and playing associated with the IPL. At the end of Group B matches, with India cementing their place in the semi-finals, one can say that those apprehensions have been well and truly given a decent burial. India’s young brigade have responded to the challenges in the tournament featuring the top 8 ODI sides with clinical demolition of three quality sides in the group stage and look good to add more victims to their list. Seaming conditions in England have always troubled the sides from the sub-continent and India has overcome that hurdle with consummate ease. It’s difficult to rack our brains and try remembering a time when the top order has been so consistent. Shikhar Dhawan and Rohit Sharma, a new opening pair for India, have responded brilliantly so far and have been instrumental in India posting big totals batting first or professionally chasing down targets. In fact, it would be fair enough to say that opposition teams did not have the luxury of running through the Indian batting lineup beyond Dinesh Karthik. Such is the remarkable maturity with which the top order has done the job. As always, there is a worry that the likes of Raina, Dhoni and Jadeja haven’t had much batting practice. But the fact is that these three have had some decent outing in the tournament so far including the warm-up matches and can be expected to step up to the plate when needed. All these have been achieved with an out-of-form Virat Kohli. It’s not too hard to imagine the bowlers’ plight once Kohli finds his own in the tournament. Indian bowling, probably a trifle weak compared to its batting, has gone about its job quite efficiently despite not possessing some star bowlers like the other sides. Bhuvaneshwar Kumar, Ishant Sharma and Umesh Yadav have ripped the heart of the opposition batting line-ups by slicing open the top order of opposition teams and spinners Jadeja and Ashwin have tightened the noose in the middle overs to ensure that the opposition challenge is snuffed out even before it got going. The fielding looks tigerish with the likes of Jadeja, Kohli, Rohit Sharma and Dinesh Karthik swooping down on opposition batsmen like a vulture onto its prey, cutting off singles, choking the run flow and also effecting runouts. Dhoni’s captaincy, as always, has been admirable. With attacking fields like slip, silly point and leg slip, Dhoni has never given a breather to the opposition. Dhoni has even found use for the slowest fielder in the team, Ashwin, by getting him the slip cordon. After beating Pakistan, a first for India in the Champions Trophy, Dhoni looks all set to add another trophy to his cabinet. Time to bleed blue! This entry was posted in Cricket, Entertainment, IPL, Suicide and tagged Dinesh Karthik, India, Ishant Sharma, Jadeja, Rohit Sharma, Shikhar Dhawan, Umesh Yadav, Virat Kohli on June 19, 2013 by missionsharingknowledge. 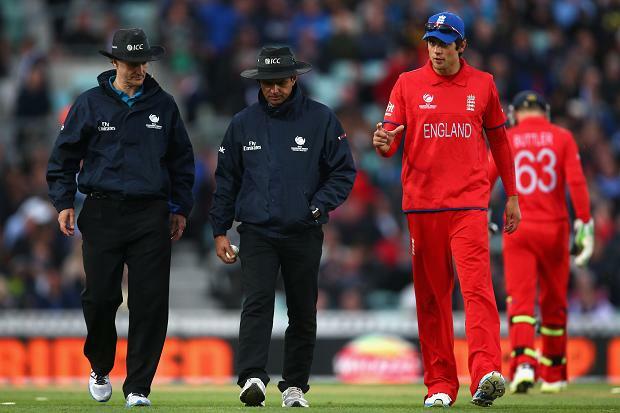 Accusations of ball-tampering by England aren’t such a scandal as they are being made out to be. 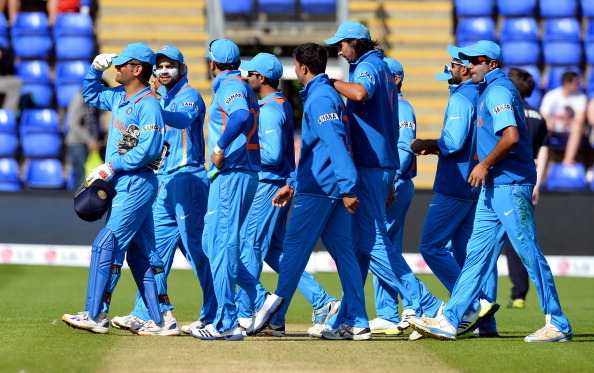 The game has left it open to cutting corners, by all teams concerned, says Jaideep Ghosh. Cricket is a strange game. It has, over the years, succumbed to the pressure of commercialization to such extents that rules being bent to suit the free flow of commerce have made it a little bit of a joke when it comes to discipline and fair play. The current situation, where for England fast bowler Bob Willis and others have cast aspersions on the England team in the ICC Champions Trophy have been met with indignant protests from the team management. “We don’t tamper,” is the flavour of the protest. Point is, so what if they do? Here is a game where the arm is bent to get more purchase and the parent body allows it. The bats stand on the verge of violating the dimension norms, but that adds to the run-gathering. Grounds are of all shapes and sizes, from 60-yard ovals to 93-yard hexagons. You can use DRS, and then, you can do without it. Switch hits, reverse sweeps, everything is on the cards and nothing is sacrosanct. So why should scratching the cricket ball a little bit be such an issue? The irony is that it was the same Englishmen who had gone ballistic when Pakistan came up with the dubious art of reverse swing. They were never short of criticism, suspicion and accusations against the Pakistanis, and other teams, mostly the sub-continental sides, since the batsmen weren’t being able to handle the reverse swing, and the bowlers were unable to master the art initially. So for them to act coy about using a little bit of magic fingers to get the ball to act according to their whims is where the issue is. Otherwise, every team does this. It seems that the designated ball polishing job is given in the current side to skipper Alastair Cook and Ravi Bopara (not sure if is sub-continental credentials have anything to do with this). Essentially, the job goes to players of lower profiles, or higher credentials of ‘sporting’ behaviour. Why? Simple. They aren’t under scrutiny of the TV and press cameras that much. Using lozenge-derived glycerine-enriched saliva to polish the cricket ball isn’t such a rarity either. One of India’s players, renowned for his squeaky-clean reputation and demeanour, always had a toffee in his cheek while playing. But since he was above and beyond reproach, it never became an issue. 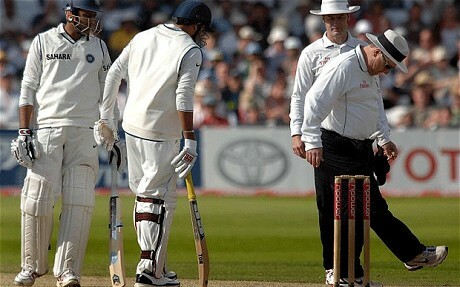 Zaheer Khan got incensed during one series in England when some smart alec dropped some jellybeans near his bowling run-up. It wasn’t a joke. The suggestion was pretty direct. So all those throwing up their hands in horror at the red cherry, or its white cousin, being polished of scratched the ‘wrong’ way need to take a chill pill. Nothing new there. Cricket,after all, isn’t just cricket any more. This entry was posted in Corruption, Cricket, IPL, Opinion, Suicide and tagged Alastair Cook, Alex Stewart, Ball Tampering, Bob Willis, Cricket, England, ICC Champions Trophy, Jimmy Anderson, Nick Knight, Pakistan, Ravi Bopara, Zaheer Khan on June 17, 2013 by missionsharingknowledge. 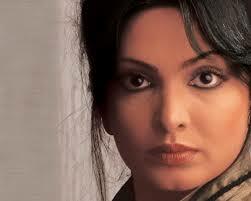 She is often cited as one of the most beautiful actresses to have ever appeared in Indian cinema. Parveen Babi was one of the most glamorous actress of 1970-80s with blockbusters like Deewar, Namak Halaal, Amar Akbar Anthony and Shaan. She was found dead in her Mumbai apartment on 22 January 2005 after it was noticed that she had not collected milk and newspapers from her doorstep for three days. Her postmortem reports showed that she had not consumed anything for more than three days and sadly starved to death. The police ruled out any foul play and it was determined she succumbed to all organ failure. Hailed as “the most interesting young actress of her generation”, Divya Bharti acted in a number of commercially successful Hindi, Telugu and Tamil films in the early 1990s. Bharti’s career was cut short by her death on 5 April 1993 at the age of 19. The circumstances of her death, falling from the window ledge of her five-storey Versova apartment have been the subject of dispute over the years. Police investigated the case and closed it five years later without a conclusion. Silk Smitha, the South-Indian actress was popularly known for her glam doll roles in South Indian films. In 1996, Smitha was found dead in her Chennai apartment. A year earlier, she had tried becoming a film producer. Financial problems, disillusionment in love and alcohol dependency apparently led to depression. It is suspected that Smitha committed suicide by poisoning herself. 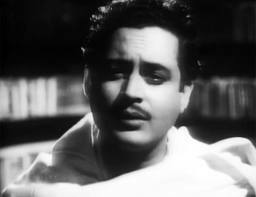 Guru Dutt, often credited with ushering in the golden era of Hindi cinema, was the first among Bollywood stars who committed suicide. He had a raging love affair with Waheeda Rehman and a running quarrel with his wife Geeta Dutt. On 10 October 1964, Guru Dutt was found dead in his bed in his rented apartment in Mumbai. He is said to have been mixing alcohol and sleeping pills. His death may have been suicide, or just an accidental overdose. It would have been his third suicide attempt. 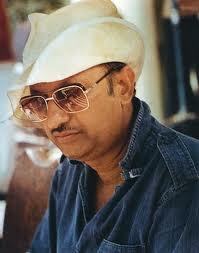 Known for his family-centered, action-song-and-dance films which catered to the tastes of the Indian masses, famous director Manmohan Desai fell from the balcony of his building in Khetwadi as the rail he was leaning on collapsed. Very little is known about his death except that he was suffering from chronic back pain. There were rumours of him committing suicide but have not been confirmed. This entry was posted in Bollywood, Suicide and tagged Amar Akbar Anthony, Bollywood, Divya Bharti, Guru Dutt, Namak Halaal, Parveen Babi, Silk Smitha, Waheeda Rehman on June 5, 2013 by missionsharingknowledge.